Each year golfing families from all over the world converge on the Grand Strand to participate in the Family Golf Week tournament experience and registration has begun for the 2016 National Father-Son Team Classic. The 19th annual tournament will be played July 20-23 and host courses include the King’s North Course at Myrtle Beach National, Thistle Golf Club, Rivers Edge Golf Club, Grande Dunes Resort Course, Barefoot Resort Love Course, Prestwick Country Club Legends Resort Heathland Course and Panther’s Run Golf Links. Entry fee for this wonderful event is $995 and includes three tournament round, daily lunch at the course, a family golf outing that will include skills contests and demo alley, a post-tournament awards banquet catered by Logan’s Roadhouse, and a gift package that includes a $200 team gift card to PGA Tour Superstore, shirt, headwear and sleeve of logo balls. In 2015 the Mother & Daughter Team Classic and Father & Daughter Team Classic were added to the Family Golf Week. 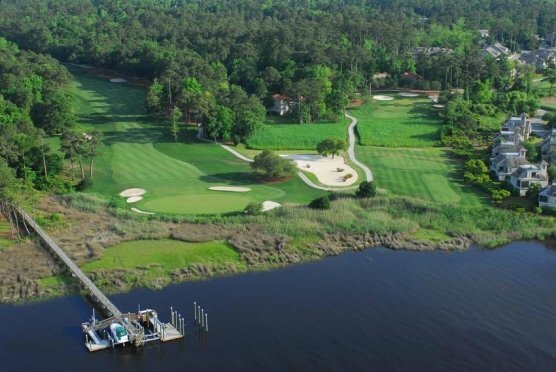 Myrtle Beach golf courses and the southern hospitality make Myrtle Beach the perfect place to host this outstanding family golf event. Visit website for addional information www.fathersongolf.com and www.familygolf-week.com.